With Christmas approaching, I’m doing most of my holiday buying online as usual. Why battle the long lines and parking lot fiascoes? 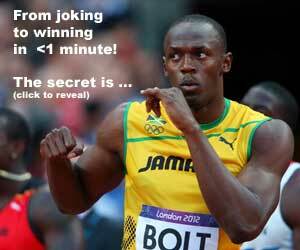 Just for fun, I tried surfing for Usain Bolt products and endorsements. Other than the Fastest Nation Jamaica T-shirt, a Lightning Bolt T-Shirt and the Usain Bolt Nuh Linga MP3 Download song by Elephant Man, there wasn’t much to choose from Amazon.com (USA). However, Amazon.ca (Canada) had different search results. It appears that a new book about Usain Bolt, written by Alvin Campbell, will be released on September 24, 2009. Yes, that’s almost a year from now. The only details about the book is that it’s available in paperback only. There is no other information, such as Publisher or number of pages. In the world of instant gratification and the Internet, we often forget about the old school media. And buying books one year in advance is no exception.